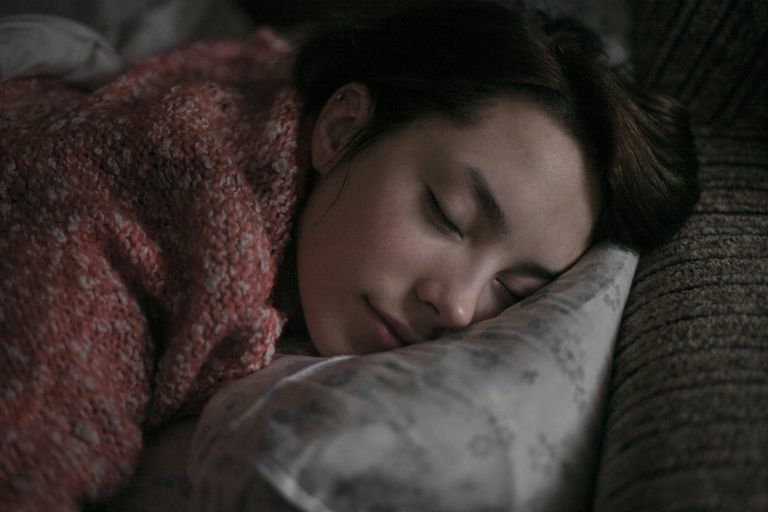 The U.S. Food and Drug Administration (FDA) has approved the use of over-the-counter (OTC) sleep medications to help relieve occasional sleeplessness in people ages 12 and older. There are dozens of nighttime sleep aids available on the shelves of pharmacies and supermarkets. Most OTC products that are sold as nighttime sleep aids contain an antihistamine such as doxylamine (brand names Nighttime Sleep Aid, Unisom Sleeptabs) or diphenhydramine (brand names Benadryl, Compoz, Nytol, and Sominex). Antihistamines are used to treat the symptoms of allergies; however, they cause drowsiness and can also be used to help people sleep. Some of these products also contain a pain medication or a cold and cough medication. Choosing the product that's most appropriate for you can be a challenge. Before making a decision about which OTC preparation to use, talk to your healthcare provider or pharmacist—especially if you are taking other medications and are concerned about potential drug interactions. And once you purchase a nighttime sleep aid, make sure to read the label carefully. All OTC medications are required to list possible side effects and precautions for using the medication. If you are drowsy or dizzy, do not drive, use machinery, or do anything that requires you to be mentally alert. And if you experience a lack of coordination, be extra careful and try to limit your activities since this side effect can lead to falls and injuries. Contact your healthcare provider if any of these side effects are severe, last for more than several days, or give you blurred vision or difficulty urinating. In general, OTC sleep medications are most effective when you use them in moderation for a short period of time. OTC nighttime sleep aids do not cure insomnia, and if they are used incorrectly, they can cause various sleep- and medication-related problems (beyond the side effects listed above). Depending on the medication that you are using and how long you've been using it for, these are some of the potential complications. Drug tolerance: You may develop a tolerance to your medication, which means that you need a higher dosage of the medication for it to work. With OTC sleep medications, this tolerance can develop quickly: in less than a week. This is a problem because taking more of the medication increases your risk for side effects. Drug dependence: You may come to depend on your OTC medication to sleep and may not be able to sleep without it. Drug interactions: OTC sleeping medications can interact with other medications that you are taking. These drug interactions can lead to dangerous side effects, especially when nighttime sleep aids are taken with prescription painkillers, other sleep medications, and medications that are used to treat mental health conditions. Do not drink alcohol while taking OTC sleep medications as it can make the side effects much worse. Rebound sleep problems: If you have been taking an OTC sleep medication for a long time and then you stop taking the medication, your sleep problem may become worse than before. No relief: You may have an underlying health condition that is causing you to feel agitated or restless. By using an OTC sleep medication, you may not be getting the treatment you need for your condition. For example, you may be suffering from depression, which can be treated with an antidepressant medication such as Zoloft (sertraline). If you are having trouble sleeping, these tips from the FDA may be helpful. Go to bed and get up at the same times each day. Avoid caffeine, nicotine, beer, wine, and liquor in the four to six hours before bedtime. Don't exercise within two hours of bedtime. Sleep in a dark, quiet room that isn't too hot or cold for you. If you can't fall asleep within 20 minutes, get up and do something quiet. Wind down in the 30 minutes before bedtime by doing something relaxing. Side Effects of Sleep Drugs. FDA Consumer Health Information. U.S. Food and Drug Administration. August 13, 2008.